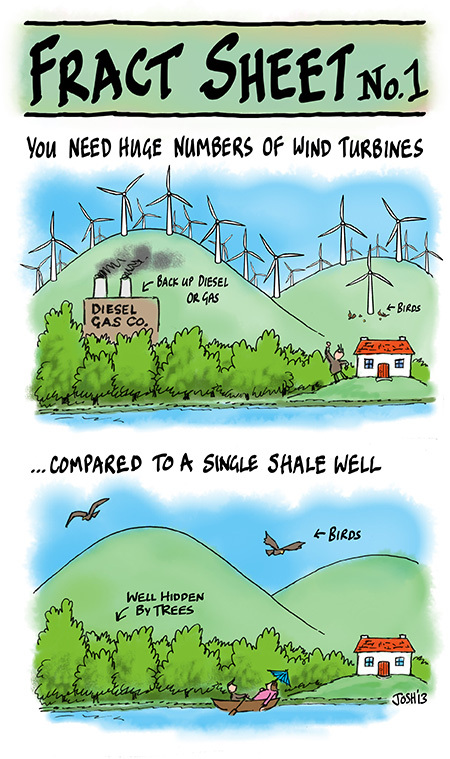 The activists shout "We can't have shale gas cos "experts say"* cos most fossil fuels must stay in theground cos we can't afford to release the CO2 !" - Hang on, our homes are full of gas hot water & heating systems, which have more than 10 years left of useful life; so we might as well put shale gas in it now . In 20 years time we might have moved over to fusion power by then Or have proper CO2 capture working . If we don't work it that way we'll end up having paid big for foreign gas and never used up our own gas. - Activists fail to mention that it was due to the development of slickwater fracking in 1998 that shale gas could be exploited and the US became the world's largest producer of oil. Energy Independence. 2)"Future Climate WILL cause MEGA harm in 50 years time"
- WHERE ARE THE BODIES ? - How can we believe there'll be mega bodies in tomorrows "disaster"
- if they can't show any bodies for today's "disaster" ? ..and how many years of GMO's ? How many bodies ? ..and as for it being PROOF : the report contained a quote from the scientist "This study alone can’t conclusively identify the exact causes of elevated levels of contaminants"
- ANYWAY hang on when you frack you ONLY use water at the beginning to fracture the rock. Am I wrong ? So if the up pipe lining did fail and "dirty water" did somehow bubble to the surface, in the wet UK climate it would would quite quickly get flushed out. If contaminants were due to fracking then the elevated levels wouldn't show up after 1 or 2 months. - His tweets often say "the dismissers" .."the deniers"
- In this one Lord Debden opens by namecalling : "Deniers fail to produce promised list serious scientific institutions which support their view. Diversionary tactics underline their failure"
- There seems to be a correlation between our hair going grey and heart attacks. 1972-98 we could see our hair going grey (CO2) and at the same time tests showed our arteries were thickening (temperature). The doctor saw that a heart attack was inevitatable and prescribed a coctail of medicines. 1998-2013 our hair is 15% more grey, but our arteries haven't thickened anymore ...Question since all drugs have side effects and these ones cost an awful lot should we still be taking that coctail of drugs ? - Is the precautionary principle rather like taking medicines all our life although we were never going to have a heart attack anyway ? : There are 2 different things : real world EVIDENCE by validated science, which is not the same as OPINIONS of those scientists who run to the media (and note that they usually started as activists first before they became scientists). - The validated real world evidence does show a strange steadily rising CO2 trend over 100 odd years , but doesn't show a clear link to temperatue & climate patterns AND doesn't seem to show that we are on a clear trend to certain catastrophe. The rest of what the IPCC say is just noise. - As I say what counts is what Validated science says ..not what "scientists say" cos that is just opinion like supporting bloodletting, or saying ulcers are caused by stress. - The levels of CO2 and temperature are pretty much accepted by all *. Anything beyond that is opinion. Yet some peope driven by fear seem so certain of future catastrophe. But look at the data ..does it look so certain ? 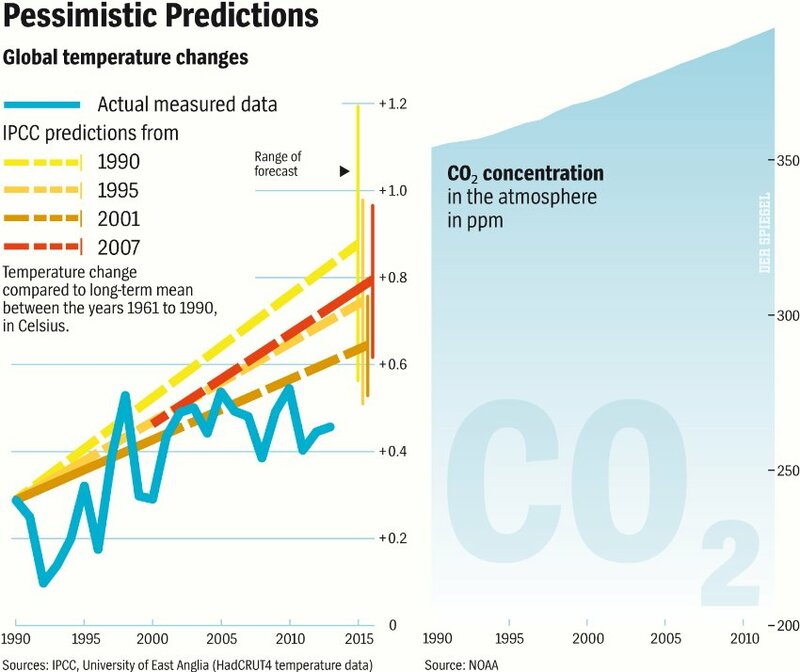 Put the ACCEPTED graphs of CO2 and temperature and they don't seem to run together like Al Gore says and temp seems very insensitive to CO2 levels. Joke : "Computer says No"
1998-2013 was global warming in pause ? "Computer (model) says No !" ..despite what reality say !